The month of January is characterized by essentially constant daily high temperatures, with daily highs around 71°F throughout the month, exceeding 81°F or dropping below 60°F only one day in ten. The warm season lasts from May 25 to October 1 with an average daily high temperature above 86°F. The hottest day of the year is July 22, with an average high of 90°F and low of 75°F. The cold season lasts from December 7 to February 25 with an average daily high temperature below 74°F. The coldest day of the year is January 19, with an average low of 51°F and high of 71°F. There are two airports close to Melbourne, Florida. Of course Melbourne International Airport is going to be the closest. Orlando International Airport is located in Orlando, and is approximately 48 miles from Melbourne. To create a fair watch, go to AirFareWatchDog which will alert you when the flights are going down in price. Also check my airfare tips on how to make sure you are getting the lowest fare. For finding the lowest fare, go to CheapFlights. I find them to be the best for flight comparison, and getting the best deal if you are ready to purchase. Once you have your airfare, make sure you reserve your airport parking ahead of time. You can Save On Airport Parking and not have the last minute hassle (been there) of trying to get parking reserved. Enjoy the warm weather of the Sunshine State with a car rental in Melbourne, FL. Drive to lounge on the sandy shores near the Space Coast and pass beneath the shade of palm trees with your own set of wheels. Rental cars in Melbourne, FL let you drive to get wild at the Brevard Zoo and stroll along the iconic Melbourne Beach Pier. Make your way to Ballard Park and picnic near the Indian River Lagoon, then take in views of the Eau Gallie River. Once you’ve gotten your fill of waterways, put on your fancy pants and take a trip to the Foosaner Art Museum to see the works of local as well as internationally acclaimed artists. Stop in for South Brevard’s best live music, food, mood and late night dining with full dinner service until 11 p.m. Drink ice cold beer and full liquor bar on their shady outdoor decks. Great fun, food and atmosphere! For more information contact 321-725-8374 or visit Malabar Mo’s Bar & Grill. 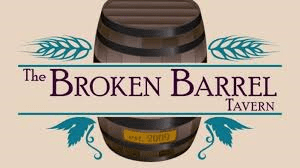 The Broken Barrel Tavern, your new favorite spot in Palm Bay, FL. They offer hundreds of bottled beers, 41 draughts, full liquor, and made-from-scratch BBQ 7 days a week. You can play pool, darts, or Golden Tee…whatever makes you happy! For more information contact 321-728-4755 or visit The Broken Barrel Tavern. 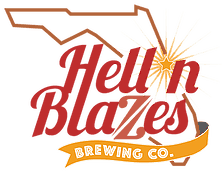 Located in Historic Downtown Melbourne, FL, Hell ‘n Blazes Brewing Company operates out of fully renovated 120 year-old former hardware and farm supply store. This family-and-friends microbrewery is known for traditional brews as well as the adventurous spirit that defines craft beer! Consistently pouring 12-16 unique house beers, with a 25-bottle wine list, the taproom pairs the old Florida lifestyle with the comfort of your own living room! For more information contact 321-821-4052 or visit Hell n’ Blazes Brewing. Their concept is Latin-style food, but with influences from Spain, Mexico and South America. The bar features tapas, a happy hour menu and quick lunches for the business crowd. The dining room will invite lingering over more elegant meals, including the five-course dinners planned for the chef’s table. 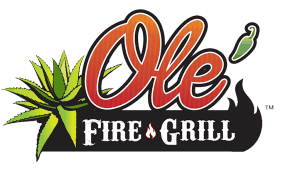 For more information contact 321-728-5950 or visit Ole’ Fire Grill. Outriggers Bar and Grill is a quaint little restaurant nestled in between the Sebastian and Indian River. You’ll get a great view of the incoming fishing boats, and local wildlife native to the area. You can sit on their waterfront outside deck or the inside patio, and even feed the fish while you eat! They fully support their local musicians, and have live entertainment every weekend. They also purchase a plethora of food from fresh, local vendors right in Indian River country. They are a dog friendly restaurant, so feel free to bring the pup! And if you didn’t know, they have the best wings and coldest beer in town! For more information contact 321-664-1112 or visit Outriggers Bar & Grill. Enjoy authentic German cuisine. Café Coconut Cove has served up a touch of Europe on Florida’s East Coast Barrier Island Since 1987. They hope that you will enjoy your dining experience with them, as they offer you a touch of European and Floridian atmosphere, there on the scenic and beautiful Indian River Lagoon. They look forward to serving you! For more information contact 321-717-3133 or visit Café Coconut Cove. Robburritos has been serving mouth-watering fare in Melbourne Beach since 2006. All Robburritos meat and fish products are fresh-smoked with hickory wood by Robburritos. All sauces, salsas and guacamole are made daily from fresh ingredients by Robburritos. It is their desire to provide the customer with a consistent top quality food product delivered with friendly customer service in an environment that is happy and entertaining. Robburritos strives to bring a product to the food market that is original, healthy, fresh, and delicious. For more information contact 321-729-6244 or visit Robburritos. Ocean 302 is an upscale Farm to table restaurant specializing in the finest fresh foods and beverages. Sourced whenever possible from local farms, food artisans, and craft breweries. Offering the finest selection of wines on the Space Coast. Ocean 302 provides a comfortable, warm beach ambiance with a local community atmosphere. For more information contact 321-802-5728 or visit Ocean 302 Bar & Grill. Nestled between the Atlantic Ocean and Indian River, Djon’s Steak and Lobster House is located in the Heart of Melbourne Beach, and always delivers! This comfortable atmosphere is perfect for a romantic dinner for two, a group of friends, or a large party. Guests can choose from an array of specialties. For more information contact 321-722-2737 or visit Djon’s Steak & Lobster House. Their award winning Melbourne, FL riverfront restaurant’s menu offers a wide selection of exquisite appetizers, salads, entrees and desserts to satisfy any appetite. Entrees like roasted duck, lamb, fresh seafood and hand cut steaks. Each meal is individually prepared by their chefs in the open kitchen with the flair you would only expect from the Yellow Dog Café. Enjoy your wonderful meal in one of several tastefully decorated dining rooms or on their outdoor covered porch, and enjoy breathtaking views of the Brevard County Indian River. For more information contact 321-956-3334 or visit Yellow Dog Café. SUP Eco Adventures is there to help you experience the exciting new sport of Stand-Up Paddle Boarding. Their mission is to get as many people as possible out onto the water enjoying nature from a unique perspective. Central Florida has an amazing array of wildlife; manatees, dolphins, turtles, stingrays, osprey, pelicans, countless fish and many other birds and animals. 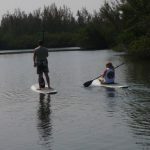 For more information call 321-507-6058 or visit SUP Eco Adventures. “Helping sea turtles survive.” That’s how it all started … and how it continues today. It all began because of their location and the huge numbers of sea turtles that nest on the area beaches or forage in the lagoon. 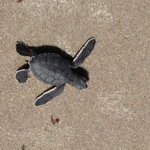 In 1984, a group of concerned citizens formed a grass-roots organization in Brevard County and later, in 1986, incorporated as a not-for-profit organization to help protect sea turtles in the area. Their mission statement was: “Helping sea turtles survive.” This organization became known as the Sea Turtle Preservation Society (STPS). For more information call 321-676-1701 or visit Sea Turtle Preservation Society Turtle Walk. 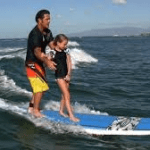 Surfguys Surf School is one of the oldest area programs with professional surf lessons for over 18.5 years. They offer private, semi-private, group surf lessons, and summer surf camps in Cocoa Beach and Melbourne Beach. They want to be your surf school of choice while visiting, or if you live there and want to begin an exciting sport which is real fun. For more information call 321-956-3268 or visit Surf Guys Surf School. Honest John’s Fish Camp features motorboat, kayak and canoe rentals, a boat ramp, concessions such as soda, beer and ice as well as a variety of bait and tackle. Their location on Mullet Creek, adjacent to the Indian River Lagoon, allows them to provide private, secure boat storage. Boat slips are available for rent on a first come, first served basis. 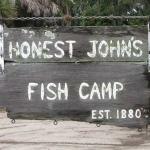 For more information call 321-727-2923 or visit Honest John’s Fish Camp. 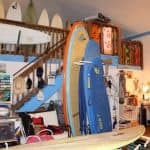 Living up to the “Surf & Sport” part of their name, they teach surf lessons, rent surfboards, stand-up paddling equipment and the super fun “fat bikes” that can be ridden on the beach and the local trails. They do guided rides on the trails and teach technique for athletes in the triathlon sports of open water swimming, cycling and running. The newest addition to their facilities is what they call Inlet Oaks Play Station, which is something of a jungle gym, with a deck for yoga and Indo Board, Climbing ropes, a slack line and chin up & parallel bars. For more information call 321-574-0600 or visit Sebastian Inlet Surf & Sport. Located across from Ocean Park and just a short walk from the beach, this Melbourne Beach bed and breakfast features a daily gourmet breakfast that includes Italian strata and fresh-baked scones. Free covered parking and room service are available at Port d’Hiver Bed and Breakfast. Guests can also enjoy access to a heated swimming pool, as well as free snacks and refreshments throughout the day. For more information, pricing, or to reserve your room, visit Port d’Hiver Bed and Breakfast. Showcasing a barbecue and sun terrace, Sea View Inn is located in Melbourne Beach in the region of Florida. Free private parking is available on site. Each room at this inn is air conditioned and is fitted with a flat-screen TV. Some units have a sitting area where you can relax. You will find a coffee machine in the room. Every room is fitted with a private bathroom fitted with a shower. For more information, pricing, or to reserve your room, visit Sea View Inn. This property is a 4-minute walk from the beach. Located 1.6 miles from Sea Turtle Preservation Society Melbourne Beach in Melbourne Beach, Sea Glass Inn Bed and Breakfast features free WiFi access and free private parking. Every room has a flat-screen TV. Certain rooms include a sitting area to relax in after a busy day. Certain rooms feature views of the pool or river. Every room is equipped with a private bathroom. For your comfort, you will find bathrobes and free toiletries. For more information, pricing, or to reserve your room, visit Sea Glass Inn Bed and Breakfast. This property is 1 minute walk from the beach. Situated 3 miles from the Brevard Art Museum, this hotel offers private beach access, a heated outdoor pool, and water sport rentals. Each suite includes free WiFi and a private balcony. Guests at the Oceanfront Radisson Suite Hotel can dine at Lena’s Café for breakfast, lunch, or dinner. Enjoy some light meals and cocktails outdoors at Down Under Pub and Pool Bar or indoors at Nick’s Lounge. Room service is also available. Jet skis, surfboards, and beach cabanas are available to rent at the hotel. For guests who want to work out, the spacious on-site fitness center overlooks Melbourne’s beaches. For more information, pricing, or to reserve your room, visit Radisson Suite Hotel Oceanfront. Guests at this Indialantic bed and breakfast can look forward to a full hot breakfast and lounging on a private beach. Restaurants like Skewers Mediterranean Grille are 8 minutes’ walk away. An en suite bathroom and telephone are included in all individually decorated rooms. A spa bath, balcony, and ocean view are included in select Windemere Inn by the Sea rooms. Children can be accommodated in select rooms. For more information, pricing, or to reserve your room, visit Windemere Inn by the Sea. Great post. I too thought you were talking about Melbourne Australia. Never knew there was a Melbourne in Florida. 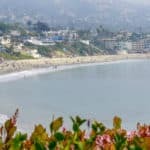 I love the tips about finding cheaper airfare, I didn’t know about the sites you mentioned and will have to check them out next time I travel. I also like how you mentioned a dog friendly restaurant, this is good to know as I am a dog owner and love taking my dog with me. Yes, dog friendly restaurants are awesome! I just move to Florida a year ago, and have not found any close to me yet 🙁 Thanks for visit Melbourne Beach Vacations! Also, would you recommend flying into Orlando and staying a few days before driving to Melbourne? Do you have a post on Orlando? There is a lot to see and do in Orlando. I am personally not into the Disney options as they are over priced and crowded. I do not have a post on Orlando, since it is not a beach destination. But I just did a google and there is a ton of information. Orlando Airport fares are going to be cheaper, generally. So you could save on the fares and then enjoy Orlando for a few days 🙂 Let me know if you have any other questions. When I started reading this post, I thought you were talking about Melbourne Australia, as I live in Australia. Little did I know that there’s also a Melbourne in Florida! I’ve learnt something new lol! Your post is very thorough and and I can envision a relaxed vibe there! You’ve covered so many aspects of visiting, well done! Thank you 🙂 I live in Florida, so I know about Melbourne beach. 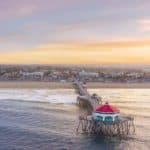 I do have a post on Melbourne Australia as well 🙂 Thanks for visiting Melbourne Beach Vacations! Wow! I didn’t know Melbourne has so many activities by the sea! I’ve visited the place years ago, but never explored the beaches. Next time I’m there, I am definitely going to come back to your website, read up and improve my itinerary. I find your information very helpful. Thank you so much. Glad the information was useful 🙂 Melbourne Beach Florida is awesome! Great post with some great suggestions. I have visited Melbourne before many years ago and I am sure it has changed a lot, so this would help me find my way around. Glad you enjoyed reading Helen. Thanks for reading about Melbourne beach! I just read your article on The Best Beach Gear. Thank you for this information. I was especially fond of the underwater cameras and umbrella reviews. We are planning a summer vacation, and I have been doing some reviews on both items, so this is very relevant for me right now. It looks like you have done a lot of research, and I appreciate that. You have made my job a lot easier! Underwater cameras sure have come a long way. In the past, we have used the disposable kind, and the pictures just don’t come out all that great. We are really thinking about stepping up to an underwater digital camera. Thanks again for this, very timely. I am telling you that the camera I recommended is really a great choice. Affordable and you get great pictures, as well it is easy to operate 🙂 Thanks for visiting Steve. I have never heard of Melbourne Beach, Florida. I love the travel information you provided, not only did you provide the standard travel information like getting there and where to stay. You gave me information about weather, the nightlife and what we can do. I am adding this to one of the places I want to go on my bucket list. What a great post, lots of information! I have never been to Melbourne Beach (of course I thought you were talking about Australia at first) but would love to visit there sometime. You have covered all the information that a person needs to know before going there. Thanks for all your hard work. I like this kind of post, because when I research a destination place one of few things I start to look for are places to visit and eat. Special like the advice on airport parking, and that you need to secure it ahead of time. Melbourne looks amazing from the pictures and detailed weather information and recommendations. When is the best time to Visit Melbourne? I want to visit when there is less visitors yet the weather is great. The best time to avoid crowds is going to be anytime except the summer months. Of course the water might be a little chilly at the end of November thru the beginning of January. I like spring or fall personally 🙂 Thanks for visiting Melbourne Beach Vacations! Hi Leahrae! Thanks for your wonderful description of Melbourne Florida! The reason I checked out your article is because I’m from Melbourne Australia and was looking for some beach fun and it looks like I’ve certainly found it (even if it is miles across the ocean)! I am planning a trip to the states later this year (happy new year by the way!) and I think I’m going to have to put your Melbourne on the itinerary. Peace and best wishes. Thank you Peter and Happy New Year to you too! Hope you enjoyed reading and you can visit soon! Wow, Leahrae! What a review of Melbourne! I think that I have already visited Melbourne through your eyes! Here in Greece, we have always white Christmas but I think that after that reading Melbourne will be my first choice vacation for next Christmas! Happy New Year to you as well Rebecca. Thanks so much for visiting Melbourne Beach 🙂 I hope I have inspired you to plan a trip here. It is truly an exceptional place! To be honest, I don’t remember Melbourne (Australia) to be this sunny lol and stimulating (to be fair, Australia is quite boring). After closer examination, I realise it is Meblourne in Florida lol. I always wanted to go to Sunny Florida for beach and the great BBQ. Yes, at first I am thinking hmmm this is not Australia, however I did do a post on that beach location as well. I kind of favor the East coast, especially the Florida beaches. So laid back and fun! I’m definitely going to keep this in mind for my next vacation! 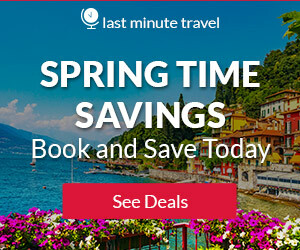 Thanks to you, now I know about OneTravel and hopefully I can get some cheap deals! Ole’ Fire Grill also sounds great for a bite to eat. Thanks for all the great information about things to do there as well. Thanks so much Katie. You would love vacationing here. Florida beaches are awesome, not just the fact that they have so much to do! I freaking love this page. Reading the first part made me want to go the beach SO SO BAD. Its funny but me and my wife where talking about that the other day about how nice it would be. This was extremely helpful, gave me quit a few good ideas of what I can really do when we go. Surfing FOE SHOW LOL. Nice Post. Thanks so much AJ for reading. 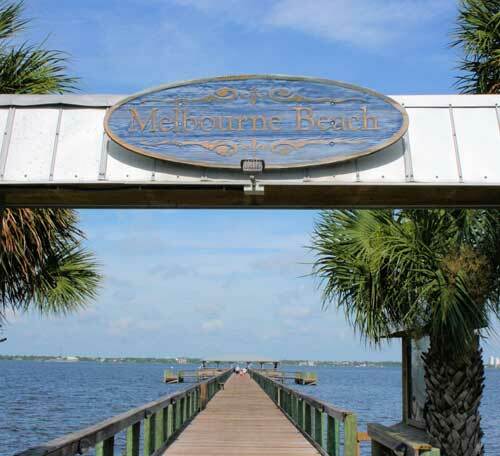 You and your wife would really enjoy Melbourne Beach Florida….so a beautiful and fun place! Wow, this is an interesting post and a beautiful sight as well. Melbourne Beach is indeed a place to be! I love the way your article covered all the questions one concerning visiting Melbourne Beach. You said all there is to be said about the flight ticket price to the closest airport to the best car rental and so much more. You indeed took out time to put this piece together and a lot of people will thank you for it. Merely looking at the Melbourne beach would make one make an impromptu trip to it, it’s beautiful. Thanks so much for visiting and glad you enjoyed reading about Melbourne Beach, Florida! Really really like this post on your website. I’ve been fascinated with Australia forever, but I live in the UK and it is so far and expensive to get to – but one day I will! I’ve heard Melbourne’s beautiful. Your post is so thorough and helpful and tells me everything I may need to know – especially good places to eat! Actually I think the whole Beach Travel Destinations idea is great. Keep up the hard work, you’ve put lots in to this post! Thank you so much! Glad you enjoyed reading~! 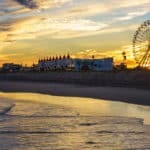 Great collection of info–everything I was looking for while researching my trip to Melbourne Beach! Most other sites focused on hotels or sights/activities but you’ve got all that plus weather, restaurants, and more. Is Outriggers a family friendly place? I’ll be travelling with two small kids. Thanks for the post. If you ever need some input feel free to contact me back, or just reply to this comment. I will be sure to check back soon! Yes, Outriggers is family friendly. I am glad my information was of help! Thanks for visiting Melbourne Beach vacations.